Do you dream about working with food? Want to do something that makes a difference? Then a career in food and drink manufacturing could be for you. Every stage of the ‘farm to fork’ journey is bursting with exciting job opportunities; from sourcing quality ingredients from farms and suppliers, working in marketing, HR or finance, to being an engineer designing state-of-the-art machinery for the factory floor. If university isn’t your cup of tea, an apprenticeship is a brilliant way for school and college leavers to break into the industry. We think they’re the best thing since sliced bread. 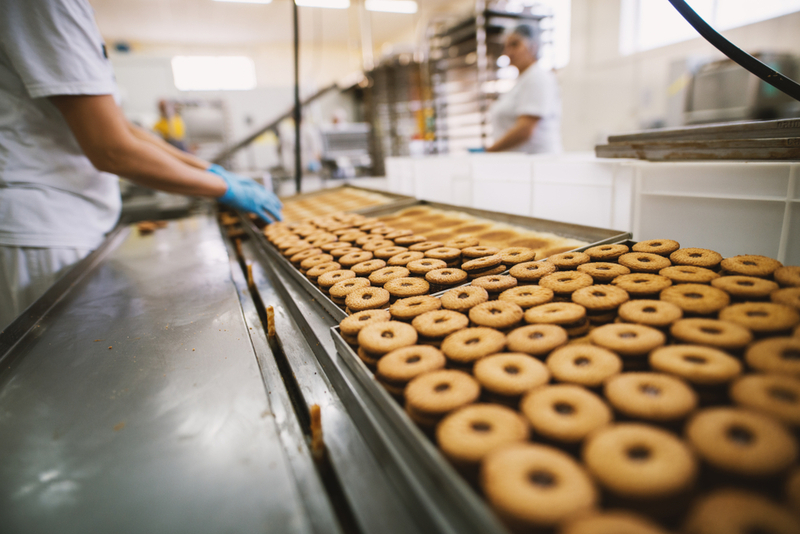 So, we’ve put together this handy guide that covers everything you need to know about food manufacturing and apprenticeships, as well as working for global business Bakkavor. What are food manufacturing apprenticeships? Did you know that the UK eats a whopping 600,000 tonnes of cheese every year? That’s a lot of cheese. It’s almost twice as heavy as the Empire State Building. Have you ever thought about how that cheese gets from the cow to your sandwich? The food manufacturing industry is responsible for getting all the food we eat from the farm to your table. You might hear it referred to as the ‘farm to fork’ or ‘gate to plate’ process. Employing nearly 400,000 people across 6,800 businesses, it is currently the largest manufacturing sector in the country and is worth a staggering £96 billion. That’s more than automotive and aerospace engineering combined. Crikey! From independent local producers to globally-recognised brands such as McVities, Cadbury and Walkers, the UK has a proud culinary heritage. As well as inventing the world’s first chocolate bar in 1847, we can take credit for beloved household staples such as Hula Hoops, HP Sauce and Terry’s Chocolate Orange. FUN FACT: The world’s biggest baked bean factory is located in Wigan, England. It produces 3 million cans of Heinz beans a day! A cool 2.5 million cans are sold in the UK every day. Think manufacturing is all long hours, assembly lines and hair nets? Think again. Here are some common myths about the industry and the truth behind them. REALITY: Regardless of whether the economy is booming or crashing, food is the one product we all consume. Not everyone needs a new sofa, but everyone needs to eat! And as the population grows, so does the demand for food. The sector needs to recruit 140,000 people by 2024 to feed an estimated population of 70 million people. So employers are ALWAYS looking to hire and promote talented individuals. REALITY: These days you are more likely to see employees coding than packing boxes. The use of cutting-edge technology like 3D printing, artificial intelligence and advanced robotics is driving the demand for tech-savvy engineers, scientists and mathematicians. As an apprentice in this dynamic industry, you’ll have your fingers in many pies. It’s fast-paced, challenging and exciting - and you’ll get the satisfaction of seeing products you’ve helped create on the supermarket shelves. REALITY: During the Industrial Revolution factory workers were underpaid and worked 6-day weeks in terrible conditions. But the Victorians also made toothpaste from honey and had picnics in graveyards. Times have changed. Thanks to stringent health and safety laws, personal protective equipment (PPE) and ergonomically designed machinery, factories are now a safe - and fun - place to work. REALITY: Each year the food and drink sector launches around 8,000 new products and invests over £1.1 billion on research and development. With the increasing demand for healthier foods, environmentally friendly packaging and reduced carbon emissions, this is a fantastic time to join an innovative industry that has an enormous impact on all our lives. Still not convinced? Visit the wonderful world of Tasty Careers for more on why food manufacturing is the bee’s knees. Fed up with textbook learning and want to get into the workplace? An apprenticeship is a fantastic opportunity for school and college leavers to gain an all-round understanding of food manufacturing. And with the Food and Drink Federation (FDF) pledging to triple apprenticeships by 2020, there’s never been a better time to get stuck into this juicy industry. Apprentices typically split their time between on-the-job training and studying towards an industry-recognised qualification. As well as getting invaluable work experience, they are paid a salary for the duration of the scheme. Sounds pretty jammy to us. It’s also a one-way ticket to a successful long-term career: 90% of apprentices stay in employment and 71% stay with the same employer. Keep reading to find out about the apprenticeship schemes offered by industry giant Bakkavor. Who is Bakkavor and what do they do? Bakkavor is a leading provider in the fast-moving and dynamic world of fresh prepared food. Currently the front-runner in the market, they are devoted to supplying leading food retailers with a wide range of high-quality prepared meal options made from premium ingredients, hand checked and finished to the highest standards by Bakkavor employees. 19,000 employees operate globally from 39 locations, developing and producing innovative food. Currently, they have 25 factories and three distribution centres based across the UK, five factories in the US and nine factories in China. Watch this exciting video to find out more about Bakkavor. 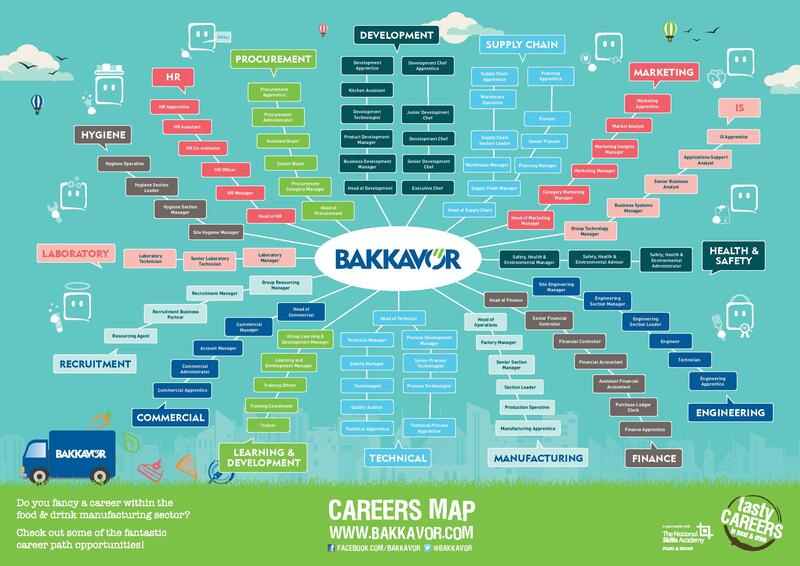 Bakkavor have a well-established and successful apprentice scheme that operates nationwide and spans across a variety of functional roles including; HR, Manufacturing, Engineering, Supply Chain, IS, Commercial, Development, Chef, Technical and Process, Procurement and Marketing. Bakkavor guarantee a job offer at the end of each apprenticeship to all apprentices that have completed their qualifications and have been performing and progressing throughout the scheme. Their retention rate in 2017 was 95%. The aim of their apprenticeship programmes is to develop the skills of bright young talent who want to embark on a new career with a leading food manufacturer whilst working towards a nationally recognised qualification. Applications for apprentice schemes can be made directly through Bakkavor’s website. The application process consists of an online application, video interview and an assessment centre. Bakkavor offers both Advanced and Higher Apprenticeships, with both paying more than the National Minimum Wage for an apprentice. Whether you’re a whizz in the kitchen or have a knack for problem-solving, Bakkavor’s apprenticeship programme offers something for everyone. Bakkavor launches 1,200 new products a year; from ready meals and salads to pizza, artisan breads and chilled desserts. 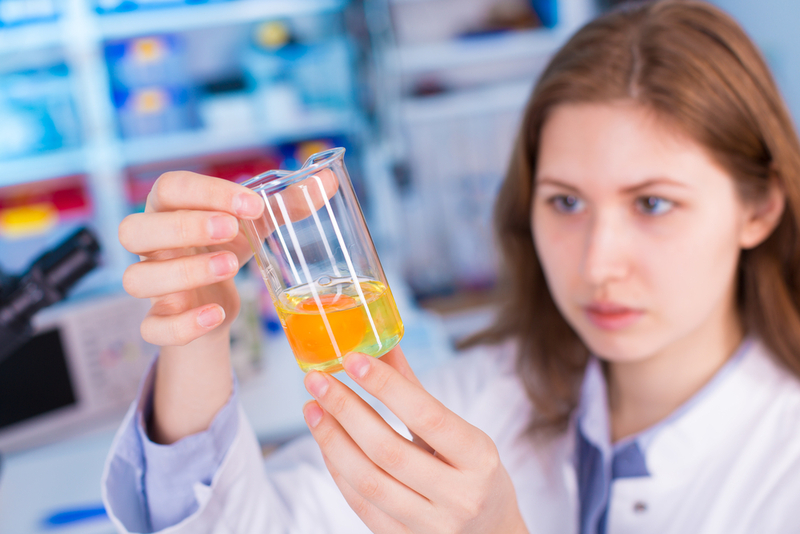 Advanced apprentices will complete a Level 3 Food Technologist Trailblazer, while Higher apprentices complete a Level 5 Laboratory Scientist Trailblazer. Fancy becoming the next Willy Wonka or Captain Birdseye? You can read the full apprenticeship standard, including a list of the knowledge, skills and behaviours this apprenticeship involves here. My typical week is split between both kitchen and office work. When I’m in the kitchen I focus on improving existing products and creating new products. My days in the office are very different. A typical day in the office will be spent on the paperwork side of the products, including technical admin and looking into nutritional information. The aspects of my role I most enjoy are being creative with flavours and ingredients because it exposes you to things you haven’t seen before, and working with people of all ages because it makes you mature and you get treated like an adult. Did you know that you can study towards a Bachelor’s or Master’s degree while working as a food manufacturing apprentice? Degree apprentices work for an employer and attend university at the same time. Each scheme moulds candidates into real employees by ensuring they gain the skills, knowledge and experience needed to succeed in the industry. For the icing on the cake, your employer and the government will co-fund your degree, so you don’t have to spend a single penny in tuition fees. And to further sweeten the deal, you will earn a proper salary from day one. Based on RateMyApprenticeship’s reviews, the average salary across all degree apprenticeships is £18,860. 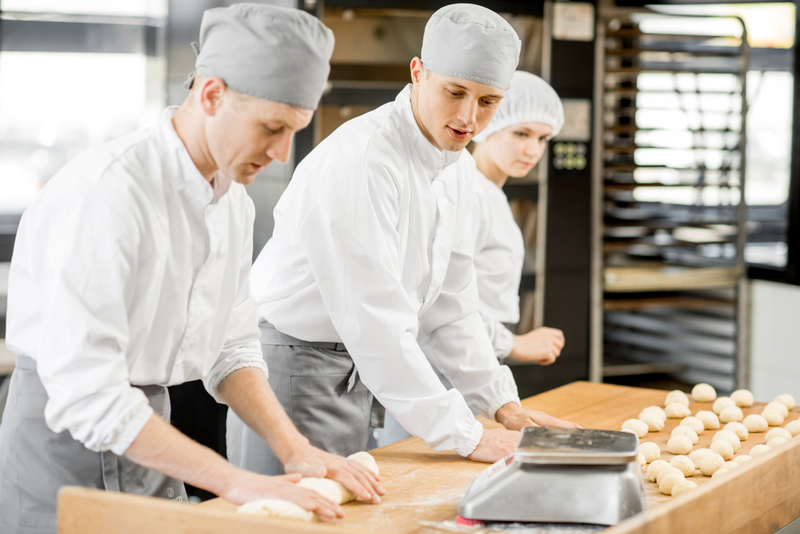 What degree apprenticeships does the food manufacturing industry currently offer? If you like what you hear, check out our essential guide to degree apprenticeships. Apprentices are entitled to the same perks as other employees; including paid holidays, sick pay and enrollment on a pension scheme. Each employer pays their apprentices differently, but all candidates are paid for both work and study periods. The current minimum wage for apprentices is £3.70 an hour. This applies to anyone under the age of 19 or those in the first year of an apprenticeship in food manufacturing, but many companies - including Bakkavor - will offer more. Below is a table with the rates for the National Minimum Wage in the UK. Once you’ve completed your apprenticeship and nabbed yourself a full-time role in the food and drink sector, there is the potential to earn a tasty average annual salary of £29,300.